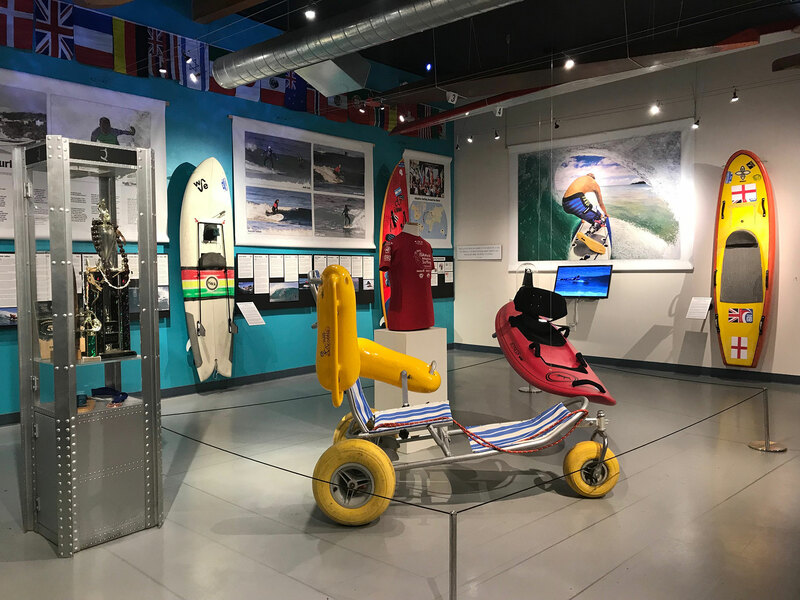 CSM’s recent exhibit “China Beach: Surfing During the Vietnam War and the Healing Power of Wave-riding,” pointed out how important catching waves was for serviceman fortunate enough to surf in Vietnam, and for many returning servicemen. Reconnecting with the ocean and their surfing buddies helped them recapture a sense of normalcy. It follows that the next step was to give recognition to the fast-growing segment of adaptive surfing programs. The full history of adaptive surfing has yet to be written but there are defining moments that helped shape the landscape and propel the movement forward to what we know it to be today. 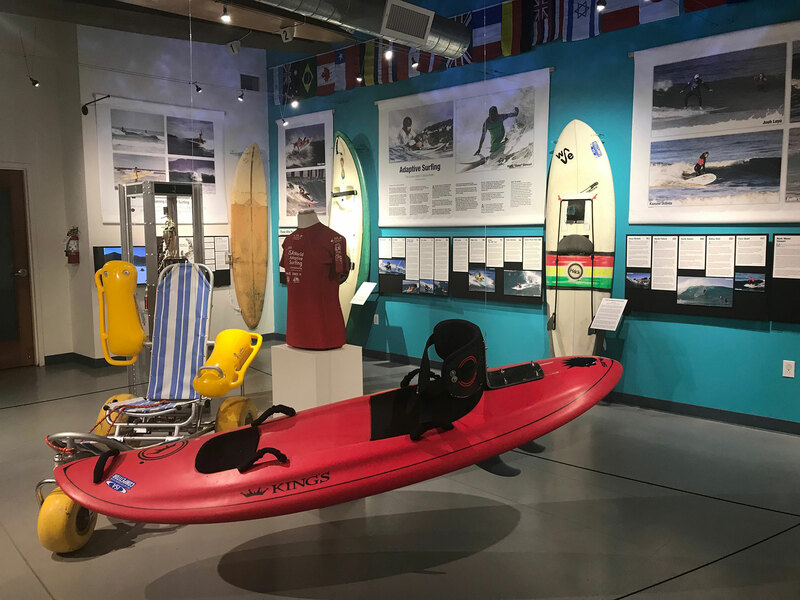 One such moment was here in Southern California, at Cardiff Reef in 1999, when Rob Machado helped Jesse Billauer get back into the ocean after Jesse suffered a spinal cord injury while surfing Zuma Beach in Malibu. Later, Dana Brown (son of Bruce Brown “Endless Summer”) featured Jesse in the documentary “Step Into Liquid,” which had a worldwide theatrical release. Because of its global reach, and the fact that it predates social media as we know it today, people around the world got to see what was possible. A groundswell movement was born. As individuals and shapers started working together, equipment started to develop. Founded in 2001, Jesse Billauer’s Life Rolls On organization set a standard for getting people back in the ocean. It has since been emulated on almost every continent. Adaptive surfing has made a stratospheric leap both recreationally and competitively. 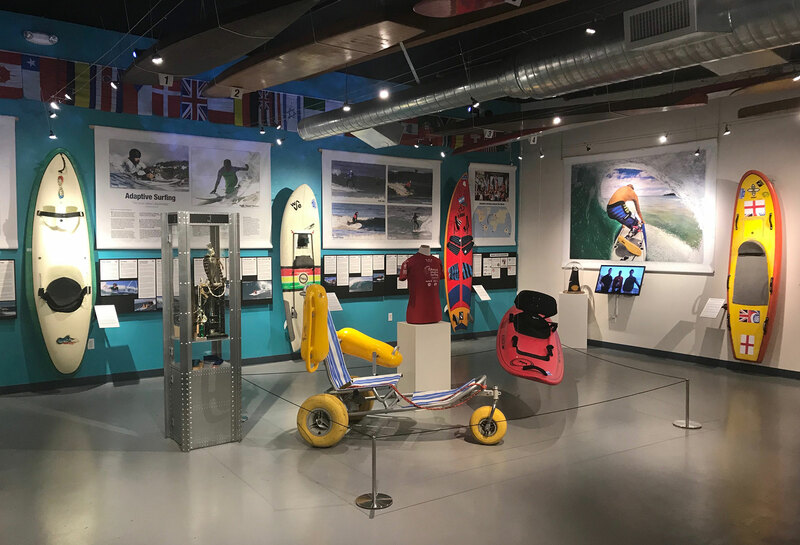 Inventive board design collaborations, between adaptive surfers and shapers, have allowed athletes to perform on the world stage with mind-blowing results and achievements. In December 2018 the ISA held its fourth Adaptive World Championship. It was the biggest adaptive competition to date with a new generation of surfers showing up to represent their country and showcase their skills. As we move forward, adaptive surf programs continue to develop internationally. 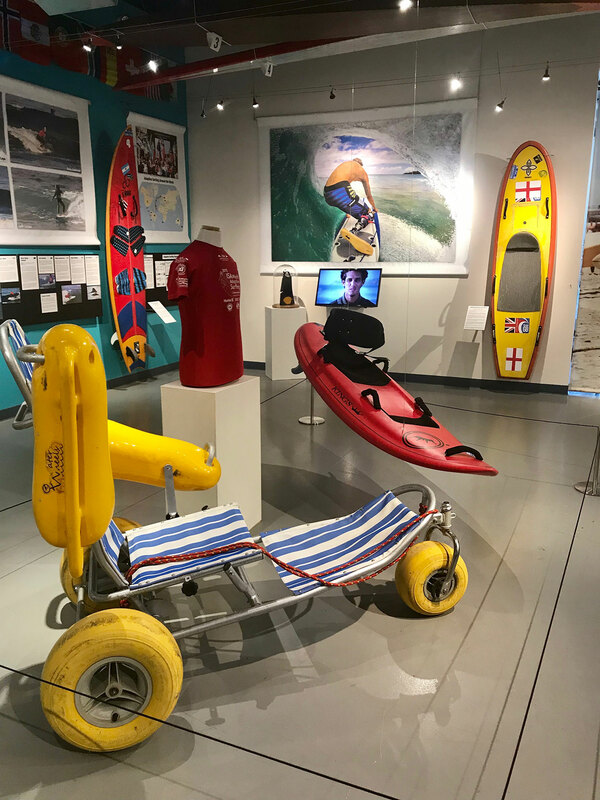 Today, it is not unusual to find empty wheelchairs, walking frames and prosthetics on the beaches around the world as surfers of all abilities take to the healing waters of our oceans.